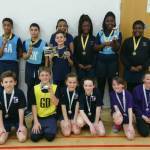 Wandsworth Strike Gold again at Volleyball! 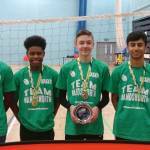 Ernest Bevin College's Volleyball teams won gold again in the London School Games Volleyball Final 2018, maintaining Wandsworth great record in the event held at the University of East London Sportsdock. 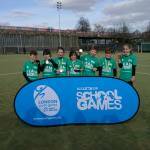 Sacred Heart Battersea secured a thrilling 12-11 victory over Holy Ghost in the Wandsworth Hi 5 Netball Grand Final. In a repeat of the 2016 final, the two teams went head to head in an epic contest.